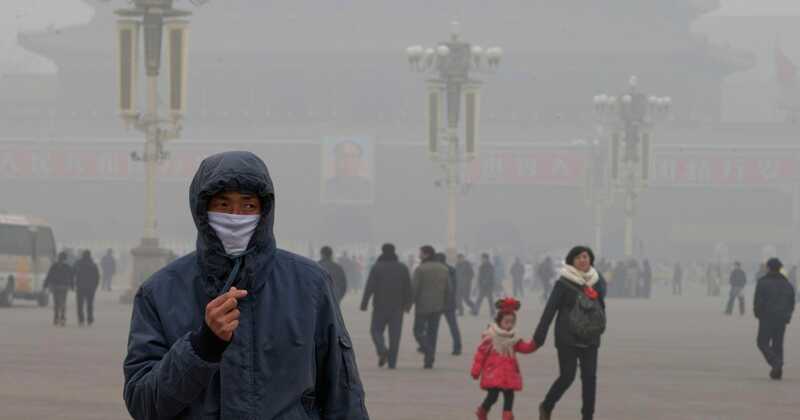 China is responsible for one-third of Earth’s greenhouse gas output and host to 16 of the planet’s 20 most polluted cities. Recent headlines disclose that China—the world’s largest producer of carbon emissions—is actually burning up to 17% more coal per year than initially reported, which is almost a billion more tons of carbon dioxide per year. Hazardous air pollution levels require citizens throughout the entire country to use facemasks and air filters on a daily basis, as air pollution kills an estimated 1.6 million Chinese every year—or 4,400 people per day. China’s over-polluted land and coastal waters have led to severe food and water security issues. The environmental consequences of China’s rapid ascendance have, no doubt, been horrifying—causing detrimental impact to the planet that may be irreversible. Clearly, in the race for renewable energy development between the two countries, China is winning—by a long shot. The good news: Regardless of which country is in “first” versus “second” place, the two countries both appear to be broadly dedicated towards reforming the energy market in a push to salvage the dying planet. Though China and the U.S. account for more than 40% of the world’s carbon pollution—a shameful statistic—the two sides are taking steps towards solving the problem of greenhouse gas output. At the 2014 Asia Pacific Economic Cooperation (APEC) summit one year ago, U.S. President Obama and Chinese President Xi Jinping agreed to an ambitious joint plan to stop emissions growth by 2030. Though many experts say this is not nearly enough, such a weighted commitment between the world’s first and second highest greenhouse gas emitters is certainly a step in the right direction. The bad news: While China is moving quickly on its efforts to revolutionize its energy sector—transforming its economy with measures such as creating a nationwide carbon market by 2017 to accommodate evolving climate realities—the U.S. is moving far too slow. This week, the United Nations climate chief, Christiana Figueres, declared the U.S. is “actually playing catch-up to China.” Expressing that, “China has taken an undisputed leadership,” she took a shot at President Obama, criticizing the U.S. for moving sluggishly on this pivotal issue, despite Obama’s declared legacy toward fighting climate change. Of course, in her criticism of the President, Figueres neglected to note the profound influence of a Republican-controlled Congress, which has threatened to overturn President Obama’s carefully crafted climate change plan. Just last week, Republicans sought to block legislation cutting carbon pollution from power plants—the main pillar of Obama’s plan. These Republican efforts to obstruct environmentally progressive legislation are clearly a contradiction to sensible attempts to provide solutions for this enormous global challenge. China, on the other hand, is proving it has an ability to move fairly rapidly with its transition to renewables. To this extent, it is important to contextualize China’s quick movement. The world’s most populous nation has a government structure quite different from that of the U.S., with a legislative process that enables swift and unobstructed decision-making on major national issues and sectors. In the case of energy reform, the Chinese government system—regularly criticized for its shortcomings, including its limited representation of social and human rights on behalf of its citizens—is demonstrating an impressive ability to make tremendous headway on this critical issue of renewable energy development. Energy reform is a somewhat abstract notion, as the rise of renewables serves as a preventative measure to avoid extreme environmental turmoil into the future. Yet, this crisis is steadily surfacing as the great issue of our time. Despite China’s embarrassing track record on the environment, it is clearly taking the issue of renewable energy investment quite seriously—becoming an impressive role model to other countries, developed and developing alike. Political gridlock in Washington has prevented the U.S. from making the same types of strides. Nevertheless, the most important consideration into the future will not be how these two countries compare to one another, but rather how they are able to work together towards making significant progress in developing the renewable energy market—and, ultimately, saving planet Earth and its inhabitants. David Solomon, a 2013 graduate of Skidmore College, lived in China for three years, where he pursued Mandarin language, history, political, and environmental studies at Tsinghua University, Beijing Foreign Studies University, and Suzhou University. He has also worked in Chinese economic development and has traveled extensively throughout China and other parts of Asia. David currently resides in Washington, D.C., where he works in U.S.-China trade relations. Enter your email address to follow China Rising and receive notifications of new posts by email.